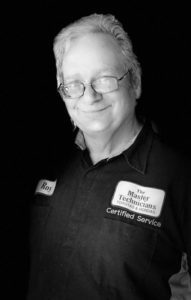 The Master Technicians, Inc. was founded in 1993 by Jimmy and Roni Mullenix. After working for a corporate owned Toyota dealership for many years, Jimmy decided it was time to step out on his own and start a dealership alternative with superior customer service, affordability, and quality or work. Over the 20 years we have been operating, our customer based has consistently grown. We realize that if we do whats right and provide the best service possible, customers will tell their friends, and our reputation proves this. As the automotive technologies have advanced over the years, so too have our services. As new technologies come out, our staff are being trained on them. 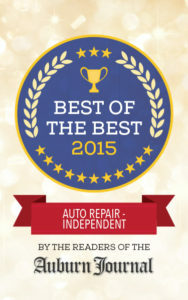 Our highly trained and experienced staff has over 100 years of combined automotive repair and maintenance experience. Our hardworking team has been voted Best of the Best by readers of the Auburn journal many years in a row. Our shop Foreman, Terry Allwein, was voted Best Of The Best Automotive Technician and ASE Certified Master Technician Scott Chiaratti was also voted Best Of The Best Automotive Technician. In 2013 Stacy L. Graham, Managing Partner, was awarded Business Woman Of The Year by the Auburn Journal. All of our repairs come with a 24 month or 24,000 mile warranty. We use genuine factory parts, and we’re the cleanest shop in Placer County. 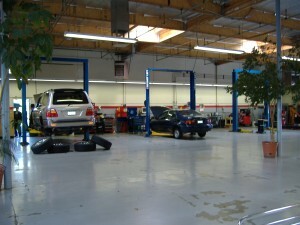 We are your “Preventive Maintenance Experts” for your Toyota, Honda, Lexus and Acura vehicles. 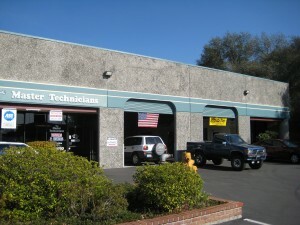 Stacy L. Graham has been working at The Master Technicians, Inc. since 1996. She is ASE Certified, completed her Automotive Management Institute training, proud member of Auburn Gold Country Rotary and Past President of Auburn Rotary Club. Her involvement in District 5190 leadership has led her to be Assistant District Governor for Area 5, which is the 4 Rotary Clubs in Auburn, CA. In 2005 Stacy received the honor of volunteer of the year for Northern California from the American Cancer Society. But the biggest award for her was 2013-2014 Auburn Journal‘s Business Woman of the Year. She is recognized in Who’s Who Worldwide Business Women and she has received a lifetime achievement award for her pioneering women in the automotive business. 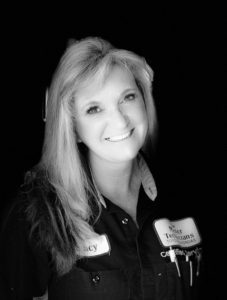 In May of 2017 Stacy became the sole owner of The Master Technicians, Inc. and then in November 2017 she joined forces with Tonya Sweat and bought Roger’s Automotive Repair, Inc. When she is not working or doing a Rotary function, Stacy spends time around her house, hanging with her friends and family or just relaxing for a bit. Tonya joined our team August 2015 and has been a star every since. 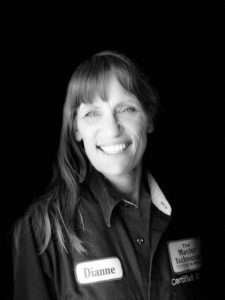 Tonya is an ASE Certified Service Consultant and an ASE Certified Parts Specialist. Tonya has been working in the industry for over 15 years and has taught herself most of what she knows. She has earned respect in the Auburn community as one of the best Service Advisors around. Stacy trusted Tonya so much in her skills that in November 2017 Tonya and Stacy purchased Roger‘s Automotive Repair, Inc. together. A decision that has worked well for everyone involved. 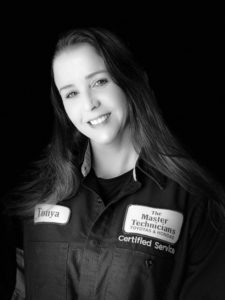 Tonya is an inspiration to many as a top notch woman in the automotive repair field and is working on setting up a class for women to know more about their vehicle’s. Tonya is a mother of one son and a grandmother to two adorable kids. When she takes time away from the businesses she enjoys working around her home and playing in her monthly Bunko groups. Dianne is the one that give customers rides, she keeps our inventory stocked and ready for you and wears many hats each day. From the friendly voice when you call to making sure we are all organized, we couldn’t do it without her. She is an asset each day and is invaluable in her many talents. She started with The Master Technicians, Inc. in February 2004 and has been growing since. When she is not working, Dianne enjoys spending time with her kids and grandson or going to concerts. Roy has been on the Dream Team since March of 2015. Words can not express how thankful we are for Roy each day. His daily duties involve several tasks, but the most important is keeping the shop extremely clean for the customers and their vehicle‘s. Roy’s attitude and enthusiasm is welcomed daily by the team and his dedication is beyond measure. Roy has many hobbies, but he is most passionate about rebuilding bikes. Roy is married and lives in Auburn. 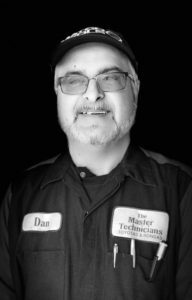 Dan started working for The Master Technicians, Inc. for the second time September of 2016. His brief absence from us helped him and us realize where he belonged. He has been in the automotive industry for over 37 years and an ASE Certified Technician for 30 of those years. Dan is also a Honda Trained Specialist Technician and sought over for his talent when it comes to a/c repairs. His mellow attitude and dedication for the business is a gift to us. Dan is married and has two grown children. His son will be getting married soon and Dan and his wife look forward to grandchildren. Dan enjoys spending his free time camping with family. Julian started with the Dream Team September of 2017. He was a parts delivery driver for Auburn Toyota when Stacy saw him and said I want him on the team. He has since gained knowledge of the industry and has completed his AMI Degree and Elite Training. The customers consistently state how friendly Julian is and how nice it is to deal with him. We look forward to seeing his growth at The Master Technicians, Inc. and he will be testing for his ASE Service Consultant certification. Julian is married to his high school sweetheart and they have one fur baby, an adopted cat from the shop named Mance. When he is spending some down time, Julian loves to get online and play video games with his friends from all over the world. Joe is the newest edition to the Dream Team and we are so happy he chose us. 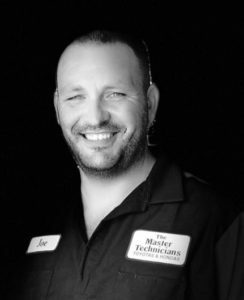 Joe has over 20 years experience as an ASE Certified Master Technician and continues to take as many classes as he can. 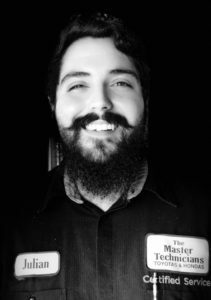 His wealth of knowledge and great attitude are a welcome addition to The Master Technicians, Inc. Joe has three children ranging in ages 18 to 4, loves a good game of golf, doing family functions or just hanging out at the local rivers and lakes. His true passion is stock car racing and being on the pit crew for Mike Hite. Rick was a true catch for the Dream Team. Daily he brings a smile and happy attitude. 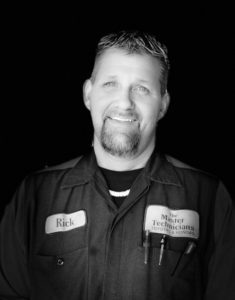 Rick started with The Master Technicians, Inc. in September of 2016 as a lube tech and quickly moved up to more challenging repairs. He recently completed his ASE Certified Journeyman Technician and is going for ASE Certified Master Technician in the next few years. He has called Auburn his home since he was 16 years old and met his wife when he was 19. He has one child and 3 fur babies. His wife‘s family owns the local Best of The Best tanning salon, California Tan where Rick often fills in on weekends to let employees have some time off. He enjoys camping, 4x4’ing and working around his property. 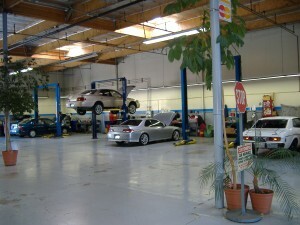 The Master Technicians, Inc. has an enjoyable peaceful setting. Surrounded by trees and a few wild turkeys. 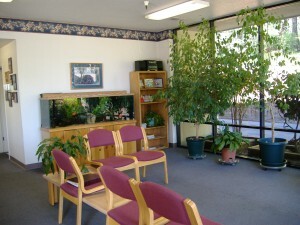 We provide a waiting room complete with free WiFi.